The beIN Media Group is owned by Al Jazeera and is primarily based in the MENA (the Middle East and North Africa) region. For the most beIN sports is based on being shown as a cable TV package and the beIN sports tier would come as an add-on, and as such would come at an additional cost for this upgrade to beIN sports as part of your package. Luckily, there are ways around this, and that is what we are here to show you how. Also, to watch beIN sports without a cable connection, you need to access the beIN sports connect streaming service. The problem with beIN connect is that it is geo-blocked and the only way to get around this is by the use of a VPN as mentioned. But with one of these, you should be able to watch live games as they are available easily. VPN’s can do this because they encrypt your data and mask your IP address, and by doing this, you can make the beIN connect service think you are in a region that allows connection to the service. There are lots of benefits from a VPN and one of these being connection throttling from an ISP. They are renowned for slowing down connections when users are streaming. This sports service would be no different, and watching a beIN sport live stream could cause your connection to slow. Additional to this, most ISP’s now logging what users are doing and keep this information for extended periods. It is crucial you use the right VPN service to watch beIN sports, as we said, ISP’s might throttle connections if beIN sports New Zealand fans were watching was noticed. VPN’s do slow connections a little because of the rerouting of your connection and the encryption that goes into making you look invisible. From what could have been one of the best add-ons for Kodi, it is a shame there is no Kodi guide how to install a beIN sports add-on because at present there isn’t one available for the software. The only way to get similar content is to add alternative sporting add-ons, but these won’t have all of the same content in one place. With no add-on available, the only option is to subscribe to the service as it is. How much does beIN sports cost? 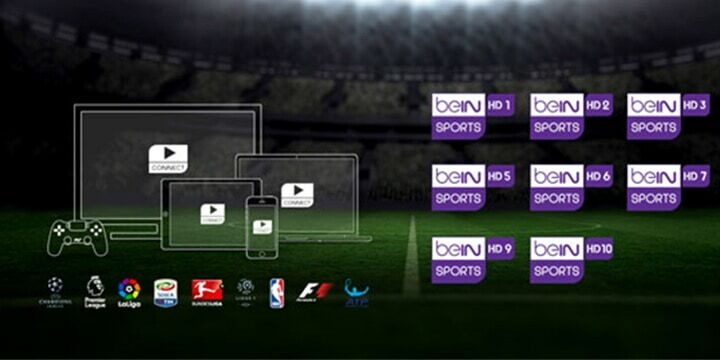 As well as being able to watch games online, when you subscribe to beIN sports, you can make full use of their beIN connect app. This lets users stream the service to both Android and iOS devices. With these, you still get the great service with all of the updates and news related to the vast range of content on offer. Even without a subscription you can visit the beIN website and browse through a wealth of updates and match reports. Also, there is the New Zealand TV guide, but until you subscribe, this is no use. Once subscribed you can watch live sports and on-demand videos. It is advisable to go through this link, but first, make sure your VPN is set to connect via a server from one of the chosen countries because trying to sign up from NZ will cause beIN to say the service is unavailable. Note: countries can be found on the signup page where you fill in your account details. 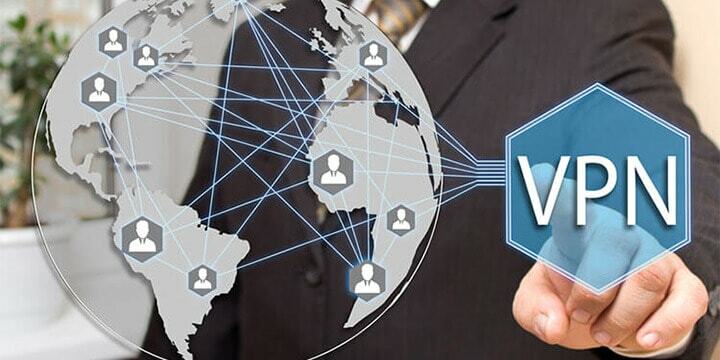 Or connect to any of the following Arabic servers: Bahrain, Lebanon, Oman, UAE, Syria, Yemen, Qatar, Kuwait, Saudi Arabia, Morocco, Egypt, Jordan, Tunisia, or Mauritania. There have been some reports that you can only access beIN from the country it was signed up for, so once you have your subscription, be sure to always set the VPN to the country server to the same you used when filling in your sign up. Once you have filled in the details, you will receive a confirmation email where you confirm the subscription by clicking on the supplied link. You are then taken to another page where you select the plan you want and choose the payment method. Because the service is mainly from the middle east, you might find when you first log into the beIN connect service, the language is in Arabic, but you can quickly change the audio to English. On some occasions, you might find there is a beIN sports free trial; this can vary between 1-week or 2-weeks depending on the country where you are subscribing. If you have this option, you automatically receive the free trial and payments begin automatically once this grace period has finished. Once all this has been done, all you need to do is make sure you have the best VPN for NZ connected and then log in to the Connect app and choose any of the desired beIN sports channels you want to watch.